The career development of executives in general management positions typically reflects their individual leadership skills, their mastery of several areas of business, and their ability to align their understanding and management of several organizational functions. The HEC Paris Accelerated General Management Program is aimed at managers wishing to broaden their functional and industry knowledge, in order to achieve business excellence in both their careers and in their organizations. It offers a unique learning experience in the global landscape of executive general management programs. The program is fully customizable enabling participants to tailor their own learning path. You can combine two specializations to fast-track the development of the necessary analytical and cross-functional skills to excel across domains, industries, and borders. Management is a question of handling short-term administration whilst developing long-term projects." Customize your learning experience, by accumulating specific knowledge in your chosen specializations. Mandatory General Management 4-day seminar led by researchers and leading professionals focusing on the management of organizational paradoxes on strategic, managerial and personal levels. The following topics are covered : Strategic renewal, stability and agility, market development and growth, team management, organizational power, negotiations and influence, conflict management and leadership. These workshops prepare participants and enable them to apply the specific knowledge acquired during the two specializations. Choice of two seminars from the following topics: Block Chain, Collaborative Innovation, Data Driven Strategy and Big Data, Supply Chain and Multi-Channels, Pricing, Digital strategy, Entrepreneurship. Participants may choose either one 12-day international specialization taught in English alongside one 15 to 20 day Paris-based specialization taught in French or two 15 to 20 day Paris-based specializations taught in French. Completed under the guidance of a HEC Paris Professor, the thesis (in the form of a field project) allows you to apply the academic and operational knowledge acquired during specialized and mandatory core seminars. It must be completed to obtain the Executive Masters in General Management. Experienced Managers wanting to start a new career. CPF eligible program according to the chosen Executive Certificates. 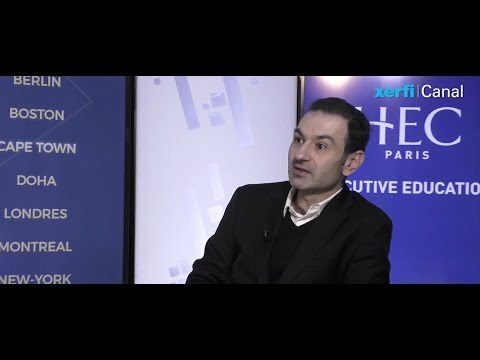 The Marketing Director of HEC Paris Executive Education collects this data in order to provide you with information about our training programs and the events that we organize. References in this form followed by an * must be filled in, but the absence of information in the optional fields will have no impact on the processing of your request. The information will be used by the different services of HEC Paris and its subsidiaries. They will be kept as long as you do not unsubscribe. In compliance with the amended law of 6th January 1978, you have the right to access, delete, rectify and object to information by contacting cil@hec.fr.